When it comes to planting an herb garden in or outside of your home, there are many things to consider. However, overall, it can be a very fulfilling experience. While it is true that each herb requires different steps to keep it healthy and growing, the way to find that information is so simple, and the steps required are not too difficult. One of the first things that you need to know is what exactly you are working with. What kind of herbs are actually found in your home herb garden? Make a list, and then look more carefully into the individual requirements for care that each has. Different herbs require different amounts of water or sunlight. Some are good almost anywhere, but others can be very delicate. You want to be sensitive to their needs, so that they will be able to yield the kind of plant that you will want to have—and will be able to use. Also, be very aware of the climate that these herbs have to live in. If you have planted your home herb garden outside, those plants that do well in the area in which you live will thrive and do well, as you work to keep them trimmed and taken care of. Others may not survive, and would really do better outside. Once you have determined these things, you can move ahead to the actual watering and maintaining of these beautiful plants. Most herbs require moist soil all of the time, and a good place to receive some sunlight. In fact, on average, an herb prefers to have at least six hours of sunlight a day. 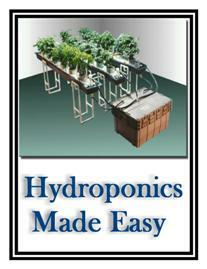 Water your plants regularly, but provide a way for any extra water to drain so that your little herbs will not drown. You want the soil to be moist, but avoid watering it to the point where it becomes soggy. Be aware of which plants are healthy and which are not. Thin out those plants that are not healthy, so as to provide room for the stronger plants to grow. Depending on the function you would have for the herbs you have planted, be aware of what tips you’ll need to know in order to maximize them. For instance, some plants will taste and smell better if you pluck off the flowers as they continue to grow. Little things like that will make all the difference. As you continue to regularly water and maintain your herb garden, you will be greatly satisfied with the kinds of things it produces for you. One hobby that is quickly gaining popularity among many Americans is herb gardening. Herb gardening is a great way for people to spend time while saving money and living a healthier and more sustainable life. Herbs are expensive when you have to buy them in the supermarket. Additionally, these herbs have to be picked before they are completely ripe or ready for harvest so that they won’t spoil before they hit the shelves. These commercially produced herbs are also grown with many different pesticides and chemicals that can be dangerous to the health of you and your family. Because of the chemicals that are used on these herbs, many people choose to go a more organic route and grow their own. For people who do this it is important to know about keeping your herb garden properly fertilized so that your plants do not die from lack of nutrients or because you used the wrong type of fertilizer. Knowing how to fertilize your herbs and garden plants properly is one of the most important skills that you can get as a home gardener. One of the best options for home fertilizing is home made mulch made out of products that you would normally throw out. Any food products that you would normally put in the garbage can be a great nutritional option to add to grass clippings and other debris from your yard. Fertilizing your herbs is one of the most important steps that you will take when growing your own plants. This process will keep our herbs growing vigorously through both warm and cold periods. Fertilizer should be spread through the garden or pot where the plants are planted regularly. Every few weeks you should scatter fertilizer in the garden to keep your plants healthy. The other part of proper fertilization is watering. Plants need both food and water just like humans so giving the appropriate amount of water is important. Each different type of herb that you grow will require different amounts of both fertilizer and water so it is important to do a little research on the herbs you are growing before you start a regular watering and fertilization program. Keeping your herbs healthy is very important and should be a priority so your herbs can become a part of the food that comes out of your kitchen. If you have further questions about fertilization and watering, you may want to ask a professional at a home and gardening shop. Experiment with different herbs and you will be sure to add variety to your cooking.